IPL 2019 is around the corner and there is a lot of buzz and excitement regarding the current Indian players and players who are making their debut. Since last year, franchises are looking to recruit talented youngsters in place of players who have been playing the IPL for a long period of time. Here we look at some big players who might be playing their last IPL this year. The Indian superstar needs no introduction. He has been one of the most destructive left-handed batsmen India has ever produced. He has been instrumental in many of India's famous wins like the NatWest Final, World T20 title in 2007 and 2011 Cricket World Cup. 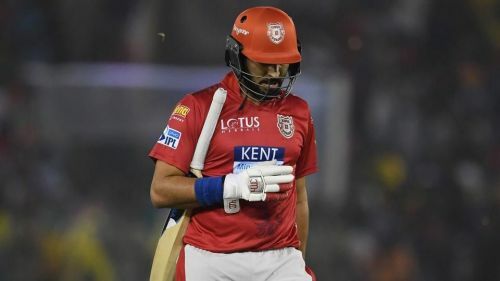 In the IPL, Yuvraj Singh has been a part of as many as 6 teams like Kings XI Punjab, Pune Warriors India, Delhi Capitals (formerly known as Delhi Daredevils), Royal Challengers Bangalore, Sunrisers Hyderabad and would be playing for Mumbai Indians this year. He has been a hot commodity amongst IPL teams and has been receiving huge sums of money by the teams. He was bought at a whopping price of Rs 14 crores by RCB in 2014, which was bettered by Delhi in 2015 where they paid 16 crores for his services. But his stocks after the IPL 2015 have taken a downfall. He was bought by SRH at a price of 7 crores in 2016 and by KXIP for a price of Rs 2 crores in 2018. He had a horrid time in the last IPL where he just scored 64 runs in 7 matches, which led to KXIP to release him the following year. This year he would be playing for the Mumbai Indians who bought him in the third round of auction at a price of just Rs 1 crore. If he does not have a decent IPL, we might not see him return again for the next year.